Recruitment is a strenuous job. It is a challenging process to find an appropriate and right candidate for the open positions. There are a lot of backdrop works entitled to the tasks of fresh recruitments. It demands enumerable administrative tasks including job postings, screening of applications, examining of incoming resumes, arranging interviews for the shortlisted candidates and thereby conducting the walk-interviews for final filtration. Here comes the solution for your recruitment woes. Odoo Open HRMS, simply the whole bunch of recruitment process by efficiently planning and executing the recruitment strategy. Here comes the tip for the right implementation of a recruitment process. When you are in search of a potential candidate for a particular position, make sure that you advertise the job position via a proper channel to the right target audience. Audience and channel are the two pivotal element that triggers recruitment success. Make sure you sufficiently use the potentialities of social media platforms, featuring your advertisement among popular job portals and boards, clearly displaying the job requisites and desired portfolios etc. On the hand, if you are looking for an entry-level position, it is advisable that you have a direct recruitment drive from the universities and colleges. It helps you to pool the best resources available without much strain and investment. Here am sharing an insight into the working of Odoo open HRMS, how they undertake the whole process of recruitment, analyze and implement the task. 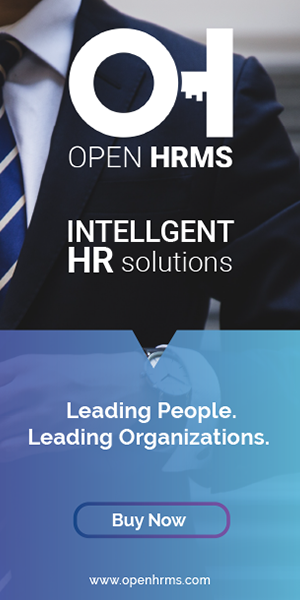 The Open HRMS dashboard entitles you to include all the desired information needed for successful recruitment. One can enter the total job positions and the current status. By using create a button you can create new job positions. Here you can check the total number of applications received for each position and the document pertaining to same. Once you are completed with the task of selecting the best applicants, you have to further invite them for a face to face interview. Arrange the recruitment pipeline with clear stages. This pipeline will show how many applications received for the open positions, how many right candidates placed in the pipeline and who among are already shortlisted for the interview. Candidates can apply through the official website and they can send their CVs to the email id provided in the job postings. All applications will be filtered and will be moved to the initial stage. Once the task of finding the suitable candidate is completed, there is no relevance in the keeping the advertisement open. Open HRMS helps you with changing the status of your Job position by clicking Recruitment Done. It is mandatory to make sure that soon after completion of recruitment, the website and job portals are freed from your website. The removal of outdated job positions is made easier via integrated software like Open HRMS in a single click. It closes the job position and sends an automatic email to all rejected candidates thereby upholding the transparency of communication. Finally, create a new employee profile for the newly hired candidates welcoming him officially to the board.